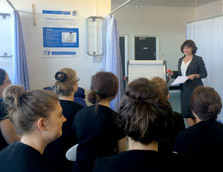 Vanessa Jane Davies established Skin Camouflage Services in 2007, an independent private practice offering national clinical consultancy. Skin Camouflage Services provide a dedicated report writing service for the legal profession and healthcare industry. Expert Witness quantum reports for the court in personal injury and clinical negligence claims and Cost Reports for healthcare and rehabilitation. 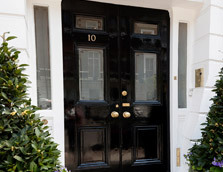 Based at 10 Harley Street, Skin Camouflage Services is ideally positioned to serve both the UK and the international community for skin camouflage consultations and treatments. Our work with UK Trade & Investment (OMIS) to introduce skin camouflage to the burns units in hospitals in Perth Western Australia was a turning point. We were selected as a UKTI business case study which has led to international referrals from London embassies particularly from the Middle East. Skin Camouflage Services have the enviable position of offering skin camouflage treatment to men, women and children with a fully integrated wraparound service. There is no dependency on makeup. We work alongside Cedars Dermatology, Red Arc Assured, Talkhealth to name a few, to deliver the best skin camouflage service possible. With decades of clinical experience Vanessa has a proven track record of actively working with the medical profession and holds Practising Privileges with BMI Healthcare and a Licence to Practice at 10 Harley Street. Vanessa a registered 1st Tier Expert Witness and has completed expert witness training with Bond Solon and is CPD compliant across all her fields of work. Her role as an Expert Witness is based upon years of credibility and clinical experience from major trauma injuries, pigmentation and scarring/self-harm to her specialism of burns: chemical, fire, hot liquids and electricity. 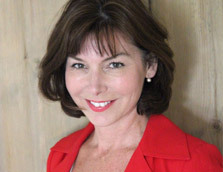 Furthermore, Vanessa is a guest speaker and presenter at national and international meetings. Always an enthusiastic presenter, she is passionate about improving the patient experience and provides case studies spanning 25 years of ‘front line work’. These include dermatological, trauma and congenital. Vanessa has contributed significantly to skin camouflage education as a lecturer, examiner and degree module writer. She continues to advise and mentor in her capacity as a Skin Camouflage Expert and is currently in collaboration with University of Sussex to create new opportunities for patients to access skin camouflage treatments and products. Vanessa has been privileged to provide skin camouflage training to The British Army and continues to support Army referrals. This aspect of her work is developing with the expansion of Skin Camouflage Services.